SMA Laboratory Inc. is a medical lab based out of the tri-state area providing high end preventive screenings and comprehensive medical testing. Employing highly sophisticated testing methods, using advanced computer driven applications, SMA is one of the leading laboratories in healthcare. 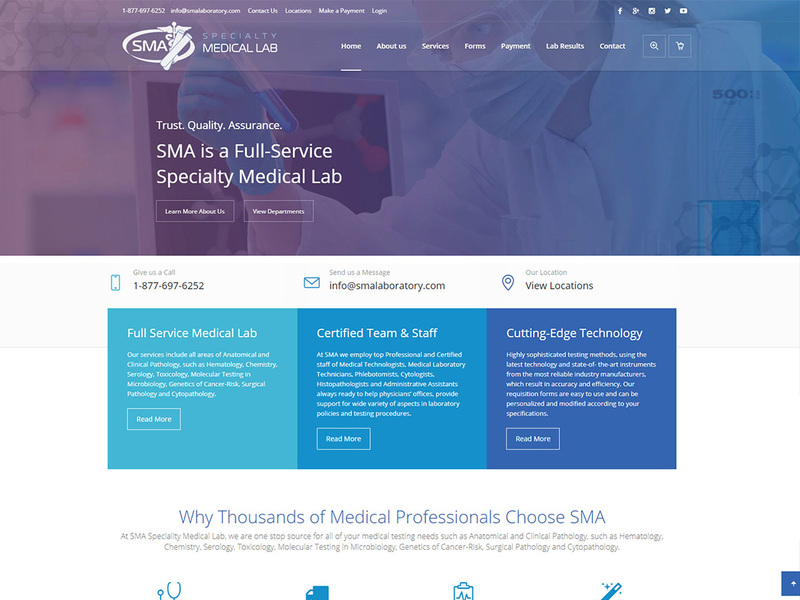 ClientSMA Medical LaboratoryServicesApplication Development, Web & Infrastructure Hosting, Web Design, Web Development, E-Commerce, Promotional Design, Marketing Strategy, Branding, Search Engine Optimization, Social Media Marketing, and more.